When you have a plumbing problem it always seems to happen at the wrong time At some stage most house holders will need to hire a plumber. Who you choose to employ as your Norwich plumber can make the difference between a good experience and a disastrous one, it is important to be selective when picking a plumber in Norwich. It is a good idea to select a plumber before you have a plumbing emergency, this way, it is possible to make a decision on who to call without the added stress of the plumbing emergency itself. 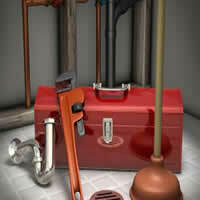 A good way to start is to ask trusted friends and neighbours for local recommendations of plumbers they have liked. Recommendations can be much more informative than an ad in the telephone book. With several recommendations, it becomes easier to call around and make an informed decision. Use Norfolk Trusted Trader to help you at TSM Plumbing we are members and all are recommendations are checked and approved referenceline.com acting on behalf of Norfolk trading Standards. When calling around, it is important to establish some basic information. Plumbers should be licensed, where required they should hold formal qualifications if they are to work on Gas or the fresh water supply, and it is very important to make sure they are insured, if you are unsure ask to see proof of cover, you put your home and contents at risk if they are not insured. Norfolk Trusted Trader will have done all this for you in advance and anyone who has been vetted by Norfolk Trading Standards will carry formal ID. It is important to ask whether they provide a 24-hour callout service, and what sort of response is offered in emergency cases. Do they have all of the parts they would typically need on the van, or are they elsewhere? It is also good to get an idea of how much they charge, as well as what payment methods they accept. Having a positive feeling after interviewing a plumber is important, as that professional will be working in the home at a particularly stressful time. As we lead up to the winter chill this is the time to act, at TSM Plumbing, our Norwich plumbers are fully trained, insured and vetted by Norfolk Trading Standards. As a local family run firm we pride ourselves on quality of service offering a full 24 hour emergency plumbing service at local prices. We never charge call out fees unlike some firms and if we say we will turn up we will always keep our word. We hope that this information is of help to you and remember which ever plumber you decide to use protect yourself and make sure they are vetted by Norfolk Trading Standards.